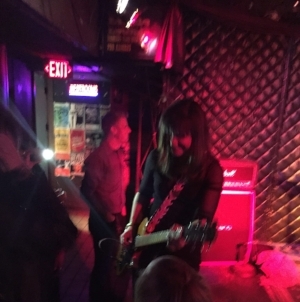 ZNP meets up with Jennifer Leavey of iconic Atlanta band, Catfight!, to hear about her new amusingly named projects - Leucine Zipper and the Zinc Fingers and the Wussy Pillows. A biology professor at Georgia Tech and lover of science, Jennifer found a way to put science and rock music in a beaker and create something entirely fresh and entertaining. Our visit takes a nice meander around Atlanta local music memories, seeing through today’s often dark social climate, and solo bike-riding as a great stress reliever and clear-your-header. Enjoy this super comfy candid visit! See both of Jennifer’s new projects at Leucine Zipper’s album release show Saturday, October 6, at Star Community Bar in L5P, Atlanta, GA. Details Here.